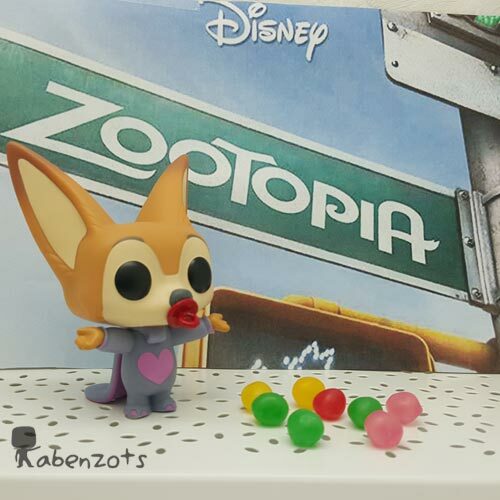 Funko Pop Ele-Finnick, about the film “Zootopia” by Disney. Ele-Finnick represents one of the characters in the film. Mammalian modern metropolis Zootopia is a city like no other. Composed of different habitats, such as the luxurious Plaza Sahara and the cold Tundratown, the city is a place where animals live together all environments. There, no matter what they are, from the largest to the smallest insect elephant, everyone can achieve what is proposed. But when the official optimistic Judy Hopps comes to town, he discovers that being the first female rabbit in a police squad big and tough animals is not an easy task. Determined to prove herself, take the opportunity to get involved in a case to solve a big mystery, even if it means associated with the fox Nick Wilde, a charlatan and con artist.